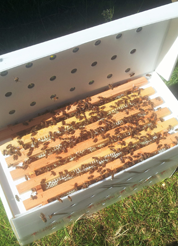 Our packages of bees contain 1.5 kg of bees and come with a mated Buckfast queen. 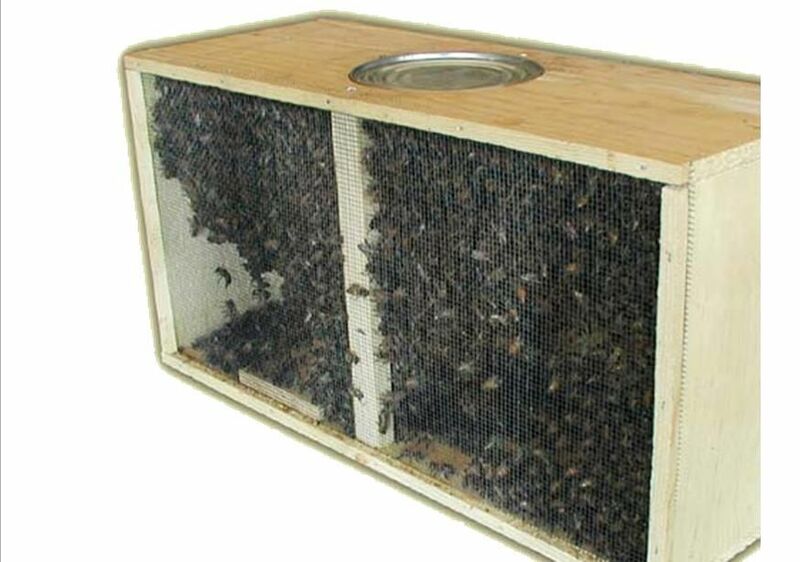 These are ideal for populating Warre hives, top bar hives as well as for populating the more popular Nationals, Commercials, Langstroth etc. We will only have one lot of packages this year and they will be ready 24th April. Collection will be from Andover only and we will inform you of the collection times nearer to the time by email. Packages are not straight forward to install so we do not recommend them to beginners. We are at hand to give advice if you need it. Once installed we will not be responsible for the queen being rejected.